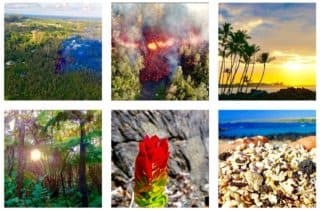 The Big Island is an outdoor paradise and most people visiting spend their time exploring the beaches and other great activities the Big Island has to offer. Not many people stop to think about the rich history of the Big Island. Many things that you see today are intimately connected to things that happened in the past. Learning about the Hawaiian history of volcanic eruptions, tsunami’s, the kingdom of Hawaii, astronomy, and native Hawaiian culture and legends, is bound to make your stay more memorable. In addition to learning about the island’s history and legends, you will get to see collections and exhibits of art, artifact and prized island treasures. There are museums located all over the Big Island, many close to (or incorporated in) popular tourist destinations such as the Hawaii Volcanoes National Park or downtown Hilo and Kona. The Big Island museum card give up to 50% discount for two adults on admission prices for the Big Island’s top museums. You can purchase the pass online for $8 (last checked December 2018). You can find more information on the Big Island museum discount pass here. Below we show these Big Island Museums on a map. If you click on the icons you will get a short description and opening hours. Browse further down this page for a short description of each museum, their opening hours and websites. Dedicated to the memory of Hawaii’s first astronaut who died during the challenger mission in 1986. There are space-related exhibits and interactive displays. Directions: Located in the Kona International Airport (The tall, white building next to the flag poles between the Aloha and Hawaiian Airlines ticket counters). The Hawaii Museum of Contemporary Art (“HMOCA”) exhibition galleries showcase local arts, culture, theater, special events as well as exhibitions from around the world. Directions: 141 Kalakaua St. in Hilo. Sugar has dominated the economy of the Hawaiian islands from the in 1800s up to ~the 1970s, when tourism took over. The last sugarcane plantation in Hawai’i closed in 2016. As such, sugar plantations have shaped life on Hawai’i for over a century. The mission and purpose of the museum is to collect, preserve and exhibit Hawaii Island sugar plantation artifacts, and small business (Mom & Pops stores) memorabilia for the education and enjoyment of present and future generations. They aim to be a history as well as an educational center to show how the sugar industry helped develop a very different lifestyle in Hawaii. Directions: 27-246 Old Mamalahoa Hwy (5 miles north of Hilo). Operated by the Kona Historical Society, this museum is housed in the historic Greenwell Family Store built in 1875.It features i.e. costumed interpreters greeting and interacting with visitors and the portrayal of daily life in Hawaii in the 1890s. Opening hours: Mon-Fri: 10 a.m. to 2 p.m.
Website: Visit their website here. Hulehe’e palace is the former vacation residence for Hawaiian royalty. 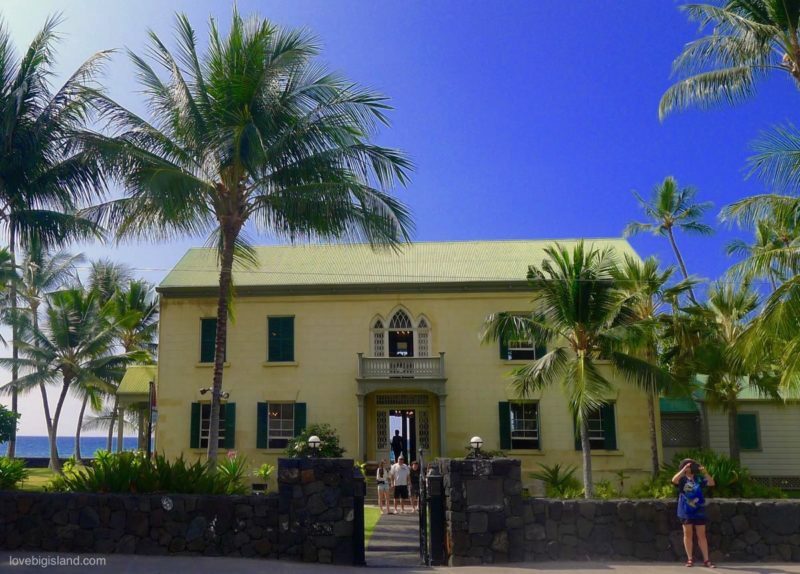 The museum displays a collection of artifacts and personal memorabilia of Hawaiian royalty, and you can either join one of the guided tours or explore the museum yourself. Opening hours: Daily: 9 a.m. to 4 p.m. This center explores the connection between Hawaiian cultural tradition and the science of Astronomy. They feature interactive exhibits, planetarium shows, tour groups and plenty of events throughout the year. Opening hours: Tue-Sun: 9 a.m. to 5 p.m. 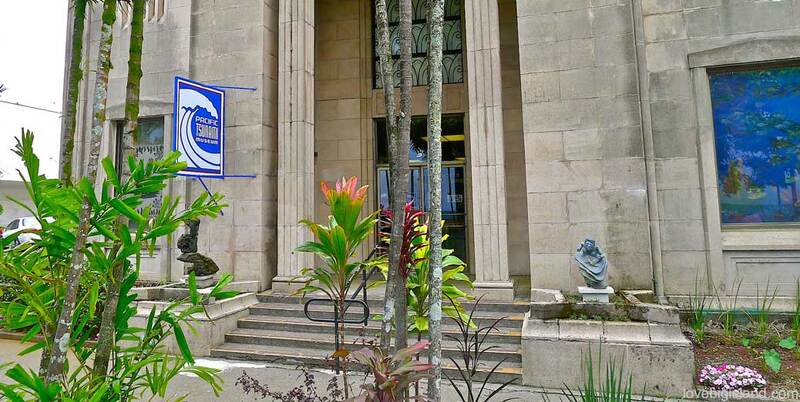 Dedicated to the vulcanologist Thomas A. Jaggar, this museum offers cultural and geological displays along with photographs and videos of the Hawaiian volcanoes. Some of the museum’s windows provide a sheltered view of the Kīlauea Caldera and Halemaʻumaʻu Crater. A public observation deck outside of the Jaggar museum overlooking Kīlauea provides spectacular views and is our place of choice to go see the glow of the lava at night. Directions: Within the Hawai’i Volcanoes National Park. Opening hours: Daily: 8:30 a.m. to 8 p.m. The Kilauea visitor center should be the first stop for everyone that visits the Hawaii Volcanoes National Park. In the visitor center you can get up-to-date information from the park rangers about lava viewing and hiking possibilities, and see an interesting 25 minute film about the Kilauea volcano every hour. The visitor center also displays many volcano-related photographs and artifacts, and hosts a gift-shop. Opening hours: daily from 7:45 a.m. to 5 p.m. The Laupahoehoe Train Museum is located in the restored old station agent’s house. 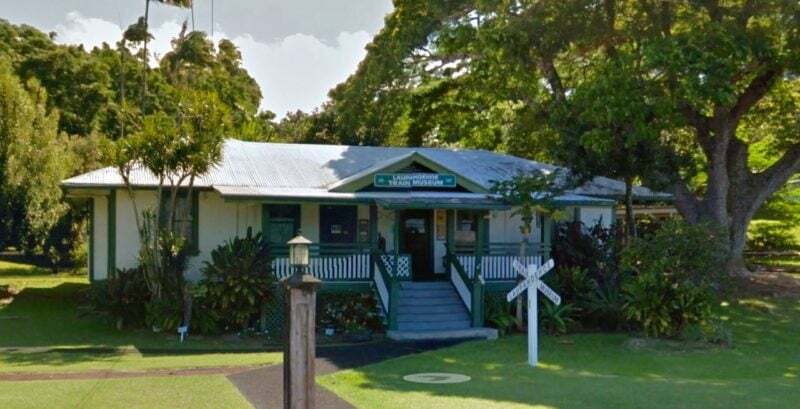 This museum mostly commemorates the Hilo Railroad that operated between 1899 and 1946, when large parts of the railroad and railroad facilities were destroyed by a devastating tsunami. Visitors will find fascinating photographs, railroad artifacts and memorabilia from days gone by. Opening hours: Monday to Friday – Open 09:00 am to 4:30 pm, on weekends between 10:00 am and 2:00 pm. They are closed on all major holidays. Website: Laupahoehoe train musem website. The museum’s exhibitions demonstrate the natural and cultural history of Hawaii. The mission house features the furniture and everyday items used by the early missionary families. Opening hours: Mon-Sat: 9:30 a.m. to 4:30 p.m.
More on our Website: Lyman Museum and Mission House in Hilo. The discovery center for Hawaii’s remote coral reefs offers educational and interactive exhibits, including a 2,500 gallon (9,500 liters) salt-water aquarium and a mock-up of the control panel of Hawaii Undersea Research Laboratory’s exploration submersible that allows you to use working robot arms. Opening hours: Tue-Sat: 9 a.m. to 4 p.m. The Hawaiian islands are vulnerable to tsunamis, and are regularly struck by these waves. The museum provides education about tsunamis and serves as a living memory to those who lost their lives in past tsunamis. Opening hours: Tue-Sat: 10 a.m. to 4 p.m.
Tour the two historic homes filled with fine art to learn more about John Parker and his Hawaiian Cattle Kingdom. A self-guided tour and 20-minute video are available free of charge, the homes are open 8:00 a.m.-4:00 p.m. Monday through Friday. Opening hours: Mon-Fri: 8 a.m. to 4 p.m.
More on our website: Parker Ranch in Waimea. The Kona Hawaiian Quilt Museum features a collection of locally made vintage and contemporary Hawaiian quiltsas well as learning opportunities for all ages about the culture and history of Hawaiian quilting. Docents are on hand to talk story about the quilts, and visitors can trace a Hawaiian quilt pattern to take home. The museum is family-friendly with activities for keiki and a small library of children’s and general books about Hawaiian quilting to enjoy.